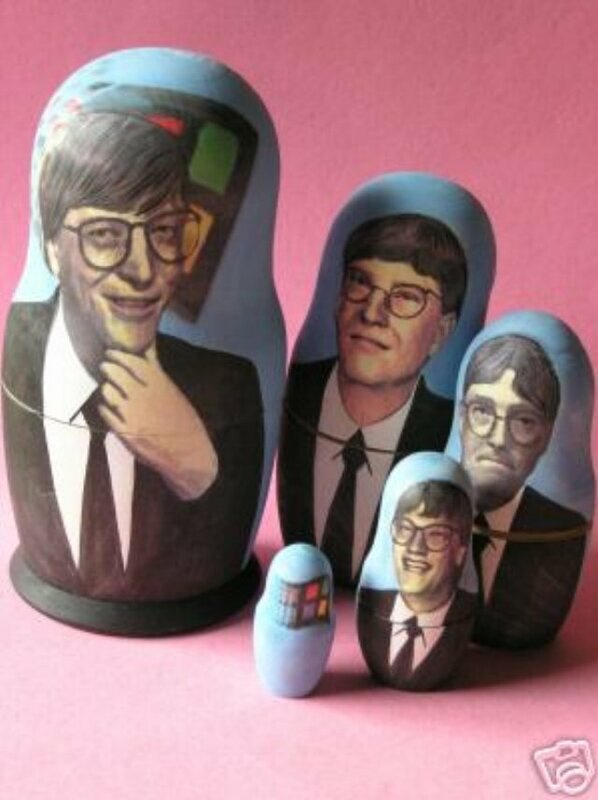 This unique 5-piece nesting doll depicts Bill Gates and the Windows 95 logo. This item is hand painted and only one-of-a-kind. There is no other like it. The largest outer doll is 6 1/2" tall. A perfect gift, but also a unique object, which was created as a single object of art.